Valentine's Day is one of the best reasons to break out a bottle of Champagne. Yet, there's no need to enjoy it alone when there are so many fascinating cocktail recipes to enjoy. The best part? These are some of the easiest drinks you can mix up, which makes them a perfect addition to a romantic dinner for two. Whether you are celebrating a new love, an engagement, or years of wedded bliss, let's explore a few bubbly cocktails for this special occasion. 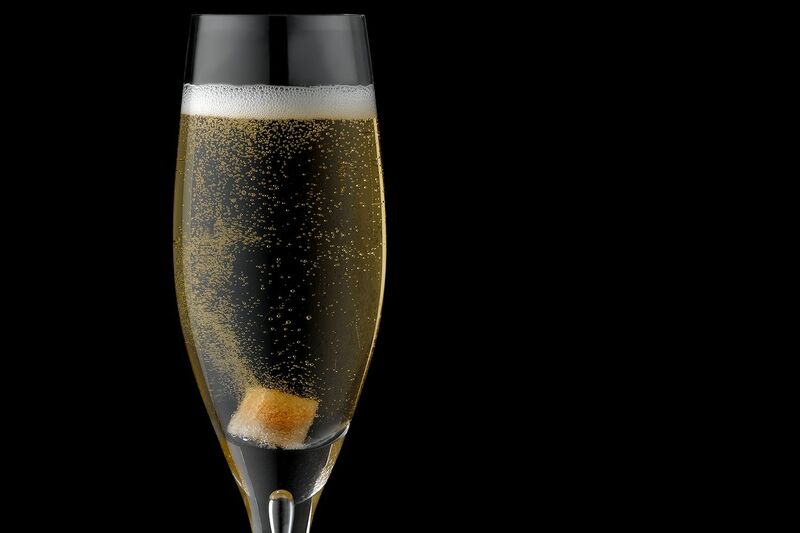 The iconic Champagne cocktail is a fascinating drink. It's a simple way to dress up your favorite sparkling wine and a classy addition to any romantic occasion. The recipe begins with a bitters-soaked sugar cube and a small shot of brandy. When you pour the Champagne, a fountain of bubbles is created in the glass, putting on quite the show on the table. The Bellini is a great drink, but a little too "brunchy" for Valentine's Day. This occasion may call for something a bit more unique and exciting. Raspberries are the perfect solution. The raspberry Bellini is a delightfully simple cocktail that pairs the Brazillian cachaça with fresh raspberries and lime. This is topped with Champagne to create a refreshing, sparkling cocktail perfect for lovers. The sweet taste of raspberries and the exotic flavor of mango come together in an easy cocktail called the French sparkle. It's a fantastic pairing with any meal, especially when love is in the air. This recipe requires just three ingredients and it comes together quickly. You'll start with a raspberry vodka and mango nectar. Shake and strain those, then finish it off with a short pour of Champagne. The flavor is sure to impress anyone. Strawberries are one of the best-known aphrodisiacs and the star fruit of the cherub's cup. It's a fun and lively drink that is sure to get your valentine's heart beating. The recipe gives you the choice between vodka, citrus vodka, or Hendrick's gin. 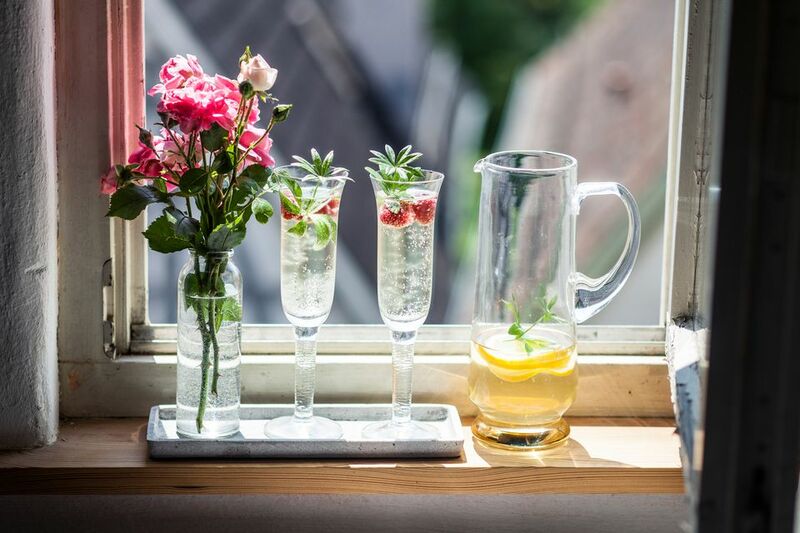 Any make a great base against the combination of elderflower and strawberry. When it's finished with a dry sparkling wine, it is the epitome of elegance. Fun and flirty, it's hard to top the sparkling fruitiness of the flirtini. It's a cocktail that's been delighting drinkers for years and an excellent choice for a special occasion like this. The flirtini features pineapple in a sparkling vodka cocktail that is sure to please. Fresh pineapple is muddled and a little juice is added along with Cointreau and Champagne. It's surprisingly simple and perfectly refreshing. You don't have to be ready to walk down the aisle to enjoy this beautiful drink. It's a sweet, beautiful, and simple cocktail, though we'll warn you that it may be a little too irresistible. The blushing bride combines peach schnapps and grenadine to create a luscious base for a good pour of the bubbly. Best of all, there's no mixing required, the Champagne does all the work for you. This is possibly the easiest Champagne cocktail you can mix up. Don't let its simplicity fool you though, it is a fabulous drink that has a deliciously tempting flavor. The Champagne and Chambord requires nothing more than the two ingredients that make up its name. The sweet raspberry liqueur is the ideal contrast to a dry sparkling wine and the result is a perfectly balanced dinner drink. A rather fun fruit liqueur makes the tickled pink recipe an ideal choice for Valentine's Day. If you have yet to taste X-Rated Fusion, here's the excuse you've been looking for. As the name implies, X-Rated is filled with passionate flavors, including mango, passion fruit, and blood orange. When it's given the Champagne treatment, it really comes to life and creates a wonderfully invigorating drink. It's not your average wine cocktail and that's why the sparkling strawberry rosé is ideal for celebrating love. This one holds an intriguing mix of flavors that is sure to tantalize your taste buds. The recipe begins with strawberry vodka, which ​is fun to make yourself. To that, you'll add pear nectar and a homemade basil syrup along with a touch of lemon. Top it with a sparkling rosé wine and enjoy. A spectacular drink, the Waterloo sunset is as beautiful to look at as it is to sip. It's a bit like a tequila sunrise but with a high-class Champagne twist. This enchanting concoction begins with a top-shelf gin and an elderflower liqueur. You'll then gently float both Champagne and your favorite raspberry liqueur on top. The layers combine as the drink settles and add a fun twist to a perfect evening for two.